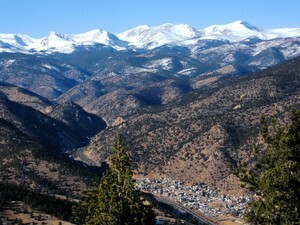 Find homes for sale in the community of Idaho Springs, Colorado. The Idaho Springs real estate listings below are the most recent homes in Idaho Springs to hit the market. Our Idaho Springs list of homes includes the entire Idaho Springs MLS database of homes for sale in Idaho Springs, CO.
Idaho Springs, the largest town in Clear Creek County, is a historic town just 25 miles west of Denver off I-70. The town is known for its rich mining history and is a great escape for recreational activities. The Idaho Springs City Hall is the old Grass Valley School House. In 1984, the school was due to be destroyed. The City of Idaho Springs bought the building and had the school house moved to its current location. The building now holds City Hall, the Idaho Springs Police Department and the Idaho Springs Municipal Court. See below for the latest homes for sale in Idaho Springs or give us a call today to begin your search!